La Selva Lodge program will teach you how the Amazon's pristine environment and impressive flora are a source of life and pure oxygen for the planet, the reason why the Amazon is considered the "Lungs of the Planet". 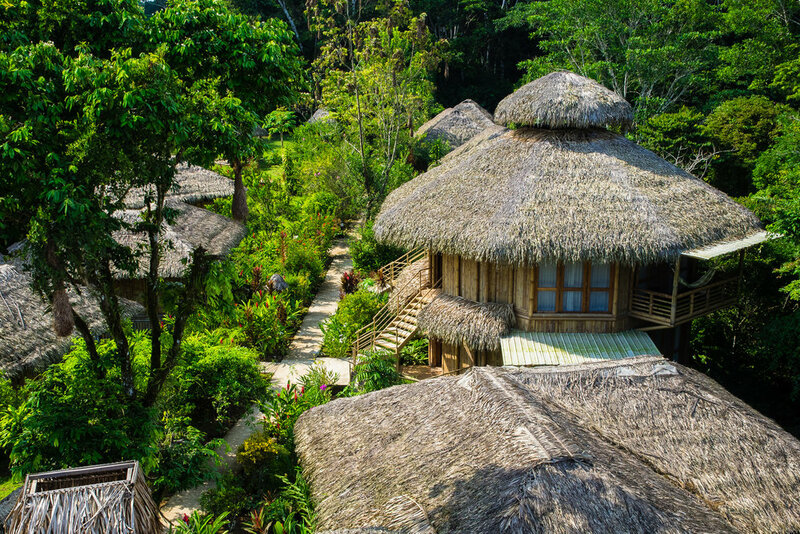 The lodge is located in a rainforest paradise bordering Yasuni National Park in one of the most biodiverse areas of the planet. Enjoy overlooking the glassy waters of Lake Garzacocha as the birds and animals of the Amazon serenade you with their unique music. 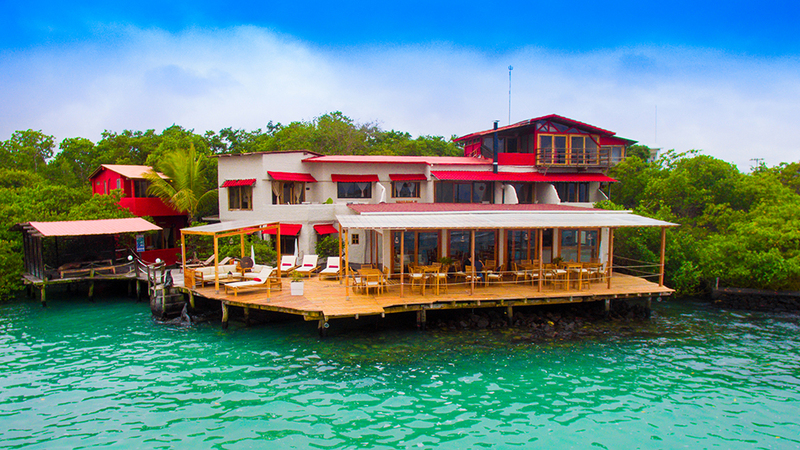 Save the best for last as you head to the main island of the Galapagos and sail off to different islands to snorkel with green sea tortoises and Galapagos sharks, all offered by the Red Mangrove Aventura Lodge. DAY 01 | WELCOME TO ECUADOR! Welcome to Ecuador! Arrive into Quito’s airport and meet your driver who will accompany you to your hotel for check-in. After breakfast and at the agreed upon time, your driver will meet you at the hotel to begin your drive to the airport for your quick, 30 minute flight to Coca in the Amazon. A representative will transfer you by private transportation to the city's main dock at the Napo River. The next two hours will be on a motorized canoe heading down river on what will be the beginning of an unforgettable experience in the tropical rainforest, the Amazon. The final leg of the trip to the lodge will be completed in a paddle canoe. All luggage will be transported by La Selva staff, so no need to worry about your belongings. You will be greeted with fresh juice and snacks before a briefing with general information about your stay at La Selva. At 4:30pm, a Naturalist Guide will provide you with background on the tropical rainforest, The Amazon, before beginning your activities with a bit of knowledge! At 5:00pm, you will walk through the Matapalo Trail to observe the Mahogany trees over 400 years old as well as nocturnal animals that are just beginning their day. These activities are followed by snacks and dinner. After breakfast, head to the observation tower in the Mandi Forest. This amazing construction allows you to climb 120 feet above the forest, from where you will spot colorful birds and primates. Along the trail, see some of the medicinal plants we use today. Optional excursion: Visit the beautiful lagoon of Mandi Cocha, a 1 hour hike where you will see an Igapo Forest - forest temporarily flooded by black water. Different species of birds and giant otters and be spotted. After lunch, to hike the Charapa Trail and spot different mammals, such as monkeys and birds. You are sure to be mesmerized by the Amazonian sunset, when you will begin your night canoe ride with a guide around the lagoon and spot nighttime wildlife and some stargazing. After breakfast, take a motorized canoe ride to the clay licks, one of the most fascinating displays of the wild world! Hundreds of parrots and parakeets gather here to eat the rich mineral soil. You will be provided with binoculars. After the clay licks, get ready for a cultural experience meeting an Amazonian Kichua woman who will welcome you into her community. During this unique opportunity she will let you in on the life of the Kichuas in the Amazon. After lunch, visit Garzacocha Lagoon, one of the most beautiful lagoons in the Ecuadorian Amazon. 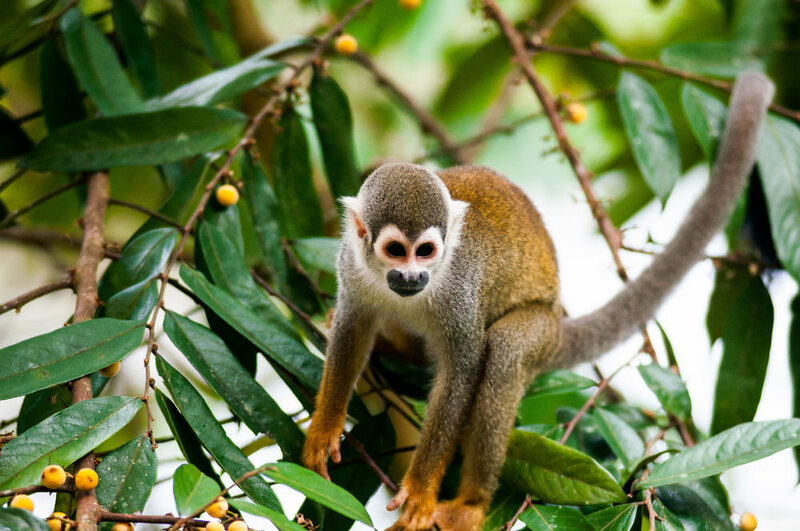 Here there are many chances to see monkeys and birds and sometimes families of squirrel monkeys join capuchin monkeys in their quest for food. The tremendous calls of the Howler monkeys can be heard in the afternoon and the smallest monkey in the world, the Pigmy Marmoset can be seen here too. Plenty of birds like the Hoatzin, toucans or macaws can also be seen flying overhead. At night, you will be provided a flashlight and venture on a night walk to enjoy the creatures and sounds of the Amazon Jungle. After breakfast, transfer back to Coca for your departing flight to Quito. Spend your evening at a lovely hotel in the outskirts of Quito, ensuring an easy transfer for your Galapagos flight tomorrow morning. After breakfast, you will be transferred to Quito International Airport for your departing flight to Galapagos. Arrive to Baltra, where you will take a shuttle throughout Santa Cruz Island and will reach the highlands of the Islands. Stop for a visit to a Ranch to see Giant Turtles in their natural habitat. After lunch, you will head to the Charles Darwin Station. The center is a reservoir of information on habitats and local conservation, as well as other fascinating relevant statistics. The most striking attraction of this station is certainly the Tortoise Breeding Center, where it is possible to view tortoises of varied sizes and shapes. Travelers here can walk freely and get their photos taken with the tortoises. After breakfast, you will be picked up and transferred to the Itabaca Channel to board the yacht that will take you to Bartolome, an island with turquoise waters and beautiful white sand beaches. Your tour begins immediately upon arrival after approximately 2 hours of sailing. Climb a staircase to the top, where you will see a spectacular landscape, two beautiful bays and fascinating formations of lava and volcanic cones. Here is the famous Pinnacle, which is a huge black lava formation that has eroded over time, representing the most recognized image of the archipelago. Near Pinnacle Rock you will also see two beautiful beaches in the form of a crescent. This island offers some of the most beautiful landscapes of the archipelago. It is an extinct volcano and has a variety of red soils, orange, green, black and shiny volcanic formations. 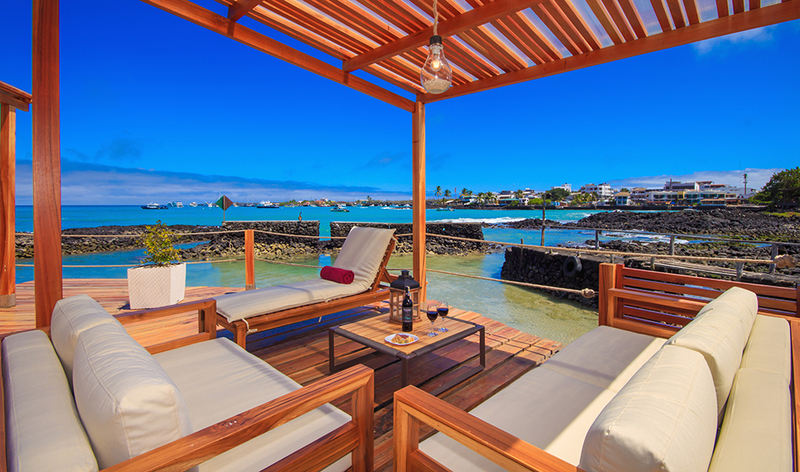 This is the perfect place to observe the Galapagos penguins. Snorkel with sea turtles, sharks, white tip reef, tropical fish, sea lions and many other unique marine species. After lunch, visit Sullivan Bay. Witness here some amazing lava formations, the product of a volcanic eruption in 1903. Bartolome Island is the breeding ground of the green sea tortoises. They come to the shores of the island to nest during the months of January and March, every year. Tour ends at approximately 5:00 pm. Transfer to the hotel. After breakfast, you will be picked up and transferred to the Itabaca Channel to board the yacht that will take you to North Seymour Island, a great place for hiking. There is a visitor or circular path about 2 miles long that crosses the interior of the island and allows you to explore the rocky coast path. During this trail, you will be able to discover some of the largest seabird colonies on the Galapagos Islands. You will have the opportunity to observe the nesting sites of blue-footed boobies, and the bright and colorful frigates that are visible throughout the year. These two species represent one of the biggest attractions of Galapagos. The frigates inflate their red chest when they try to attract or draw attention to their mates. These birds are also well known to steal food from the blue-footed boobies. Additionally, you cannot miss the funny ritual or dance performed by the blue-footed boobies, in order to attract their mates. After lunch, we will snorkel with green sea tortoises and the famous Galapagos sharks. See the sea lions playing and surfing in the sea. Then, visit Bachas beach for from free time to enjoy relaxing and swimming in the wonderful Galapagos Sea. Tour ends at approximately 5:00 pm. Transfer to the hotel. After breakfast, enjoy your last hours at the lodge before heading back to the airport for your departing flight to your next destination. We hope you've enjoyed this trip as much as we do!